Pixiu, Chinese amulet to attract money. This Pixiu-shaped bead is carved on both sides, on one side with coins on the back and the other is flat. Size: 10 mm x 18 mm x 5 mm and 5 mm diameter hole. 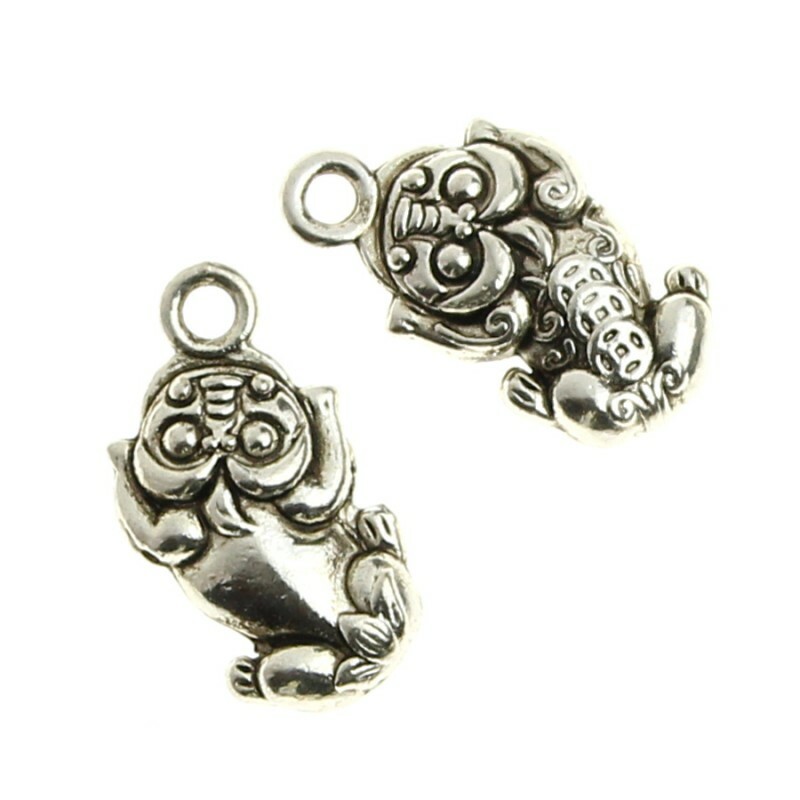 Material: antique silver color zinc alloy. In China, the Pixiu is a lucky charm that helps to accumulate wealth. A bag weighs 20 grams and contains approximately 10 pieces.